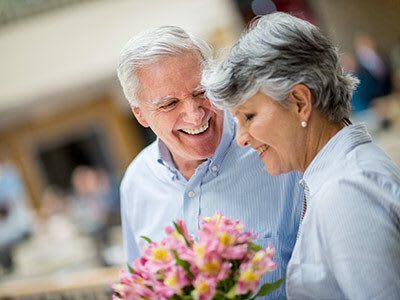 We embrace Positive Partnerships the Artis Way as a philosophy and practice because our experience supports two-way communication as an effective method for customizing memory care. Partnership Profiles, Town Hall Meetings, and Time to Dish are tools that ask for and make use of resident input. Our Director of Partnership Development makes certain that residents connect with the specific resources they need and desire. A licensed nurse is available 24 hours a day. Non-medical services include daily living assistance, cueing and orientation assistance, and doctor appointment scheduling. Housekeeping, linen, and laundry services help to keep things tidy. Residents enjoy delicious, nutritious meals every day, with opportunities to weigh in on menu choices and recipes through Time to Dish. Contemporary research indicates that the Mediterranean diet may help prevent and slow the progression of Alzheimer’s and memory loss diseases. That is why we’ve chosen to incorporate these practices in our recipes and food preparation in order to provide a holistic, caring approach to dining at Artis. The Town Center is a gathering space, a wellness resource center, and a place to celebrate. Here, residents can get a haircut or a manicure, take an exercise class, attend a spiritual service, or access the courtyard for a stroll in the fresh air. The Town Center is also the place to join in on a community service project, whether it is writing letters to veterans, or making a wreath for a new Habitat for Humanity home.